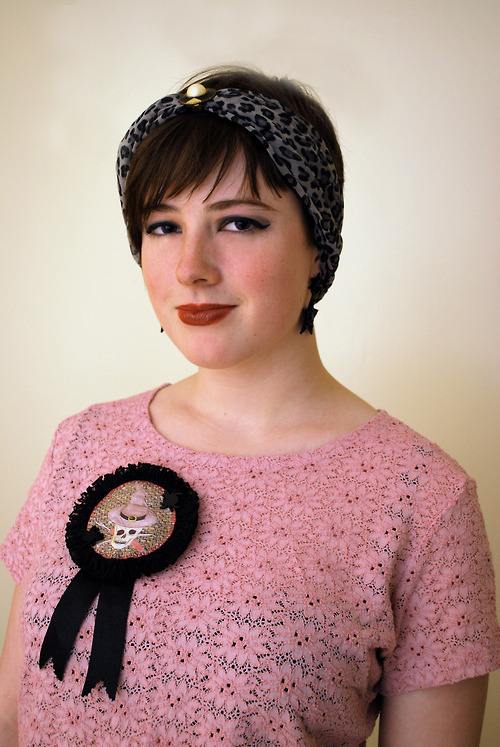 Jen of hoodratroughdiamond wrote the sweetest little blog post about the swap we did. 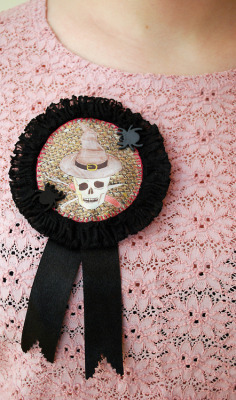 I love the way she styled the rosette; she’s definitely a new fashion icon of mine. 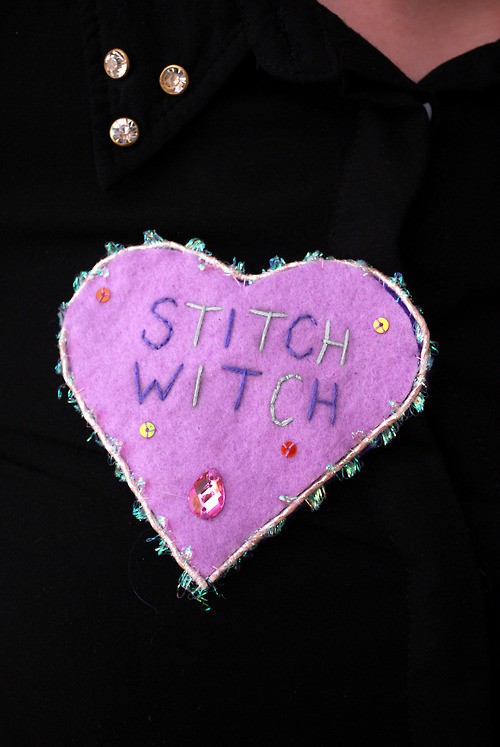 Stitch Witches Collective on Facebook is going from strength to strength, with crafty swaps being discussed and plans for meet-ups afoot. Plus we now have 146 members! 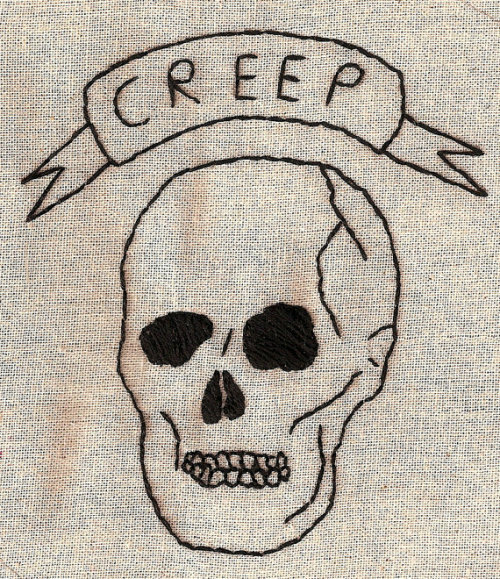 Fellow founding member Hannah and I are meeting up the week after next to initiate the next stage of making the Stitch Witches zine a reality. 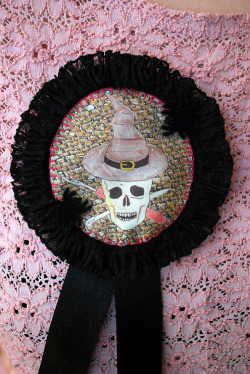 PS You can get your hands on your own Stitch Witches rosette here.